What's NEW in Version 1.1 ? The "Pudding Monsters" are off on an urban adventure in the NEW "City Tour" (Episode 4) update ! 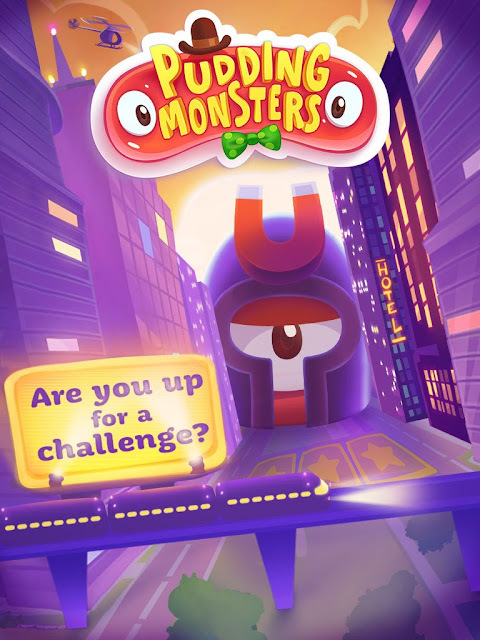 25 new levels with new gameplay elements, including "arrow tiles" that slide monsters across the screen and "magnetic monsters" that emit a super-charged force field to attract monsters to one another. 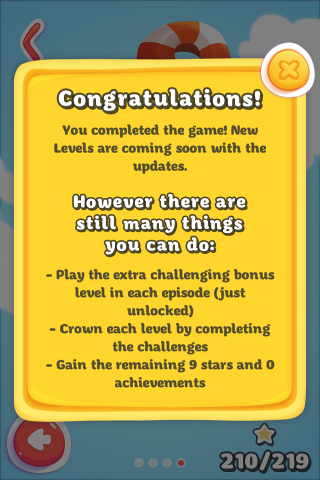 Now there're 4 episodes of 25 levels each = 100 levels. For the iOS versions, the game now supports iCloud, allowing you to sync game progress across all your iOS devices. (B) Previously in ver. 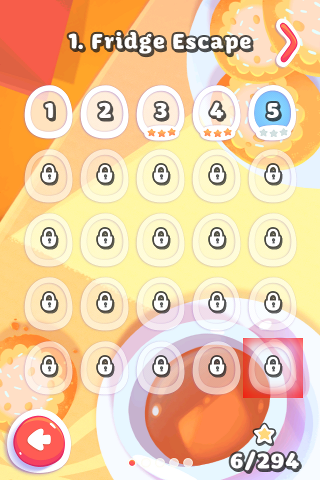 1.0 (when there were only 3 episodes of 25 levels each = 75 levels), before you complete Level 3-24, the 3 levels 1-25, 2-25 and 3-25 located at the bottom-right of the level selection menus were "hidden" and not shown. Now they can be seen at the start, view the new screenshot below which I took after resetting the game and replaying the 1st few levels. I shaded the Level 1-25 in "red" below, previously in ver. 1.0 you can only see empty space over there before you complete Level 3-24. 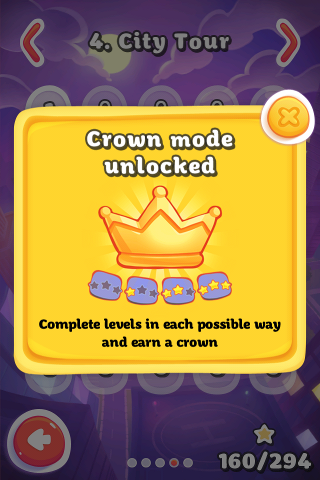 Previous "Bonus Levels" like 1-25 are no longer "hidden"
(1) Obtain at least 160 stars (this is the same requirement to unlock Episode 4). (2) Visit the "Level Selection Menu" for Episode 4 because the above message will ONLY appear when you've navigated to this menu. As I've mentioned earlier, 7 levels in the 3 earlier episodes have been changed, etc. but now I don't have time to edit the above articles. I'll make the changes later on.